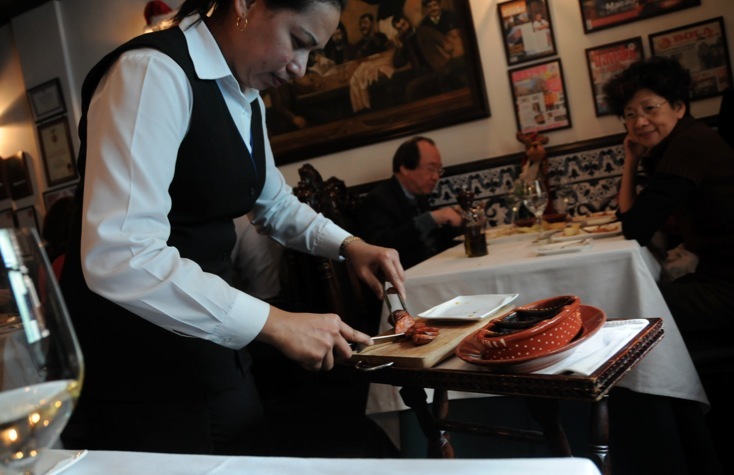 While in Macau, we visited António‘s, a famous Macanese restaurant. 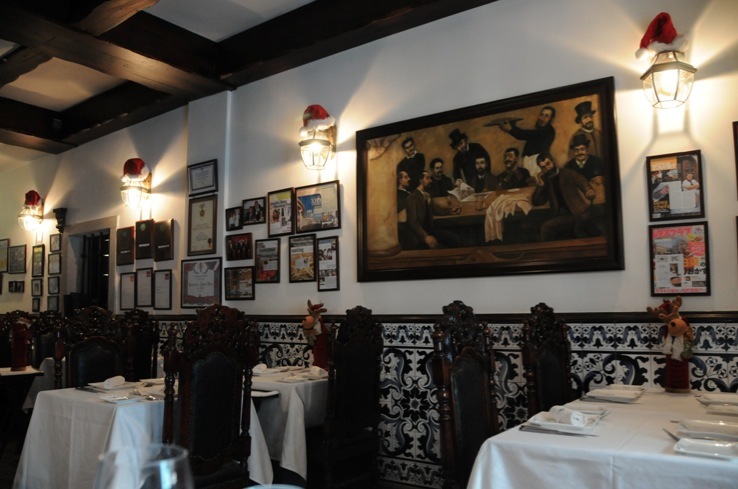 This is the kind of cozy and homey Portuguese restaurant where the chef becomes your friend. 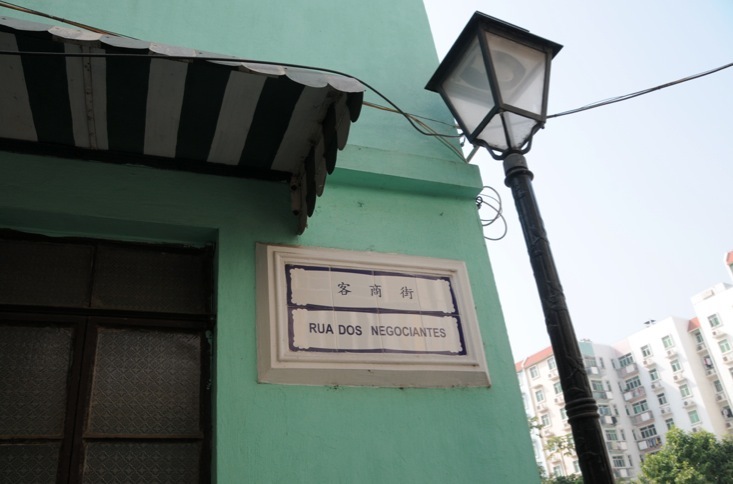 Tucked away in one of the quaint alleys in the heart of Taipa village, António is indeed a Portuguese culinary paradise in Macau. 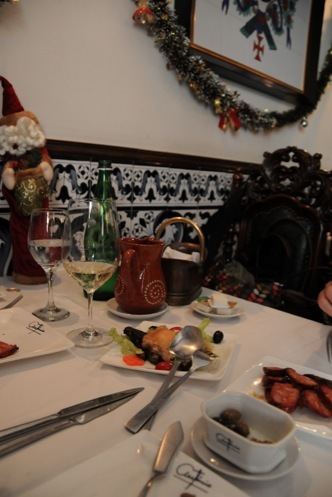 Chef António Coelho, a 60-ish Portuguese with extensive culinary experience who has been cooking authentic Portuguese cuisine in his private kitchen since 2008, spearheads the award-winning restaurant. We tried the famous gratinated goat’s cheese with olive oil and honey and were blown away by the hot, spicy, garlicky homemade pork sausage. It was grilled before our eyes, in a ceramic bowl. Nice to watch, but even better to smell! Immediately we felt very hungry! The pork sausage was really tasty, rich, smoky, hot and spicy. A great contrast to the runny goat’s cheese that was fresh, sharp, milky and creamy. It worked well with the honey and the dark rye bread. 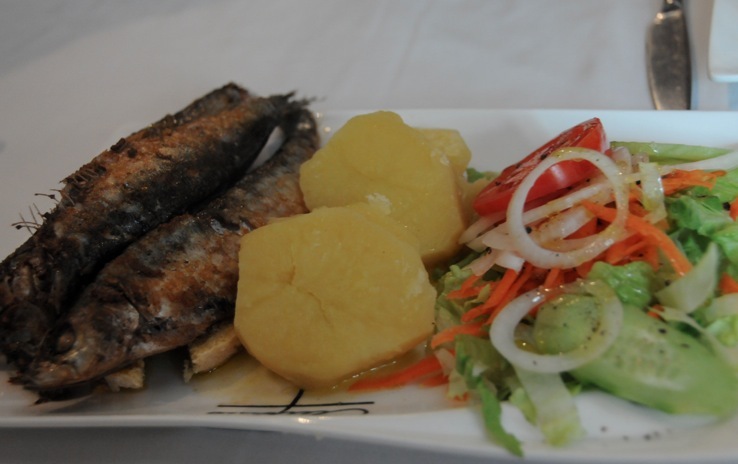 As main courses we shared grilled sardines with potato and salad – which was fresh, crispy and tasted really Mediterranean. The second main was a grilled Bacalhau with sweet potato and Chinese vegetables, plus lots and lots of grilled garlic. I am glad that we all shared the dish, so no one could complain about the strong garlic smell afterwards. 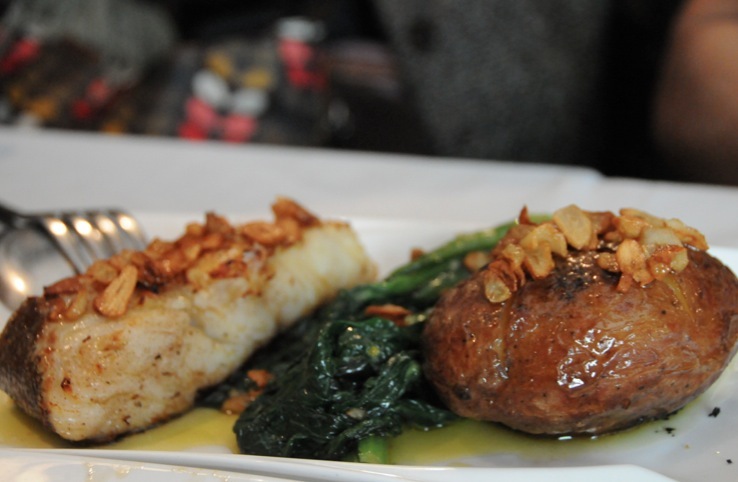 The Bacalhau was a little on the dry side, but it worked well with the sweet potato. The sardines on the other hand were perfect. For dessert we had crème caramel (which was more a crème brulee) and flan (which was more like crème caramel). Both were nice, but average. We should have opted for the hot raspberry sauce on vanilla ice cream. We saw one of the waiters prepare this dessert for other guests. The dessert had lots of alcohol that was set of fire, which looked amazing – and based on the feedback from the guests, also tasted amazing. Shame, we’ll try it next time. Overall, a great experience, with good customer service (very attentive) and reasonable prices for a Michelin recommended restaurant. Yummy!! The restaurant is beautiful! It made me hungry to see the picture and read your despription! 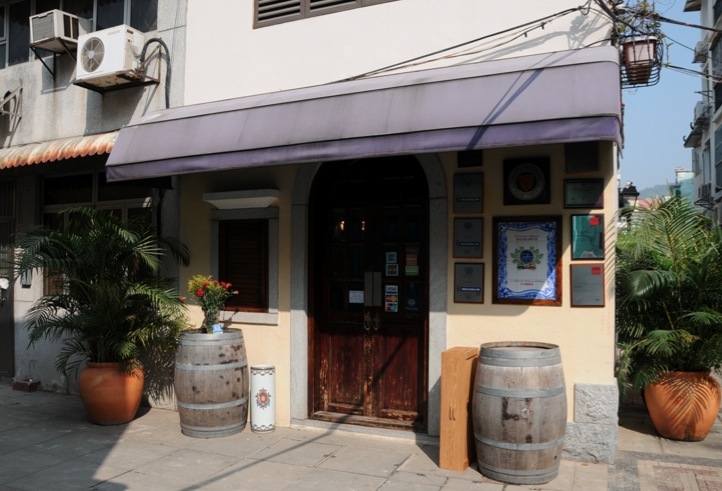 This is the Michelin starred restaurant tucked inside the taipa village. I didn’t dine there but at least, I get to see the food and the interior now. Thanks! Thanks for following my blog. 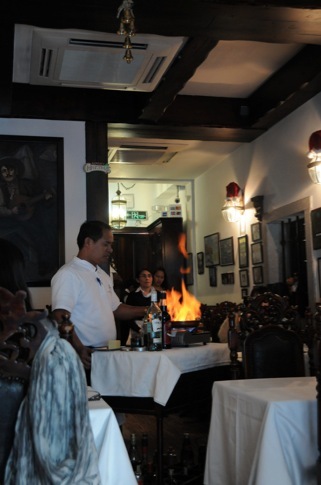 I am not sure if Antonio’s has a Michelin star, but I think it is recommended. Still, the food and service are good. 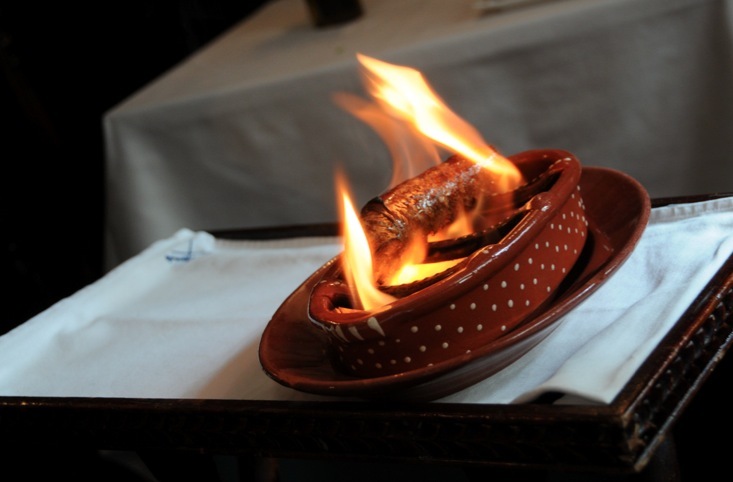 Do you know the name of the dish that the sausage was cooked in, if it was precooked and the cooking medium in the ceramic dish? Sorry, no. I don’t know the name of the dish the sausage was cooked in. The sausage was already pre-cooked, and it took only minutes to finish it.